SALE OUT. Krups KP 350B Dolce Gusto Coffee capsules machine, 15bar, Water tank c..
Krups Dolce Gusto KP350B10 Pump pressure 15 bar, Capsule coffee machine, 1500 W,..
Krups Dolce Gusto KP 3505 Pump pressure 15 bar, Capsule coffee machine, 1500 W, ..
Krups Dolce Gusto KP350B10 Pump pressure 15 bar, Capsule kavos virimo aparatas, ..
Virdulys Išparduodama. 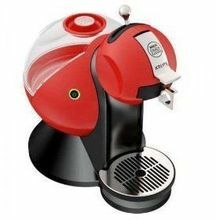 Krups KP 350B Dolce Gusto Coffee capsules machine, 15bar..
Krups Dolce Gusto KP 3505 Pump pressure 15 bar, Capsule kavos virimo aparatas, 1..
Krups KP 350BPL Dolce Gusto Coffee capsules machine, 15bar, Water tank capacity ..